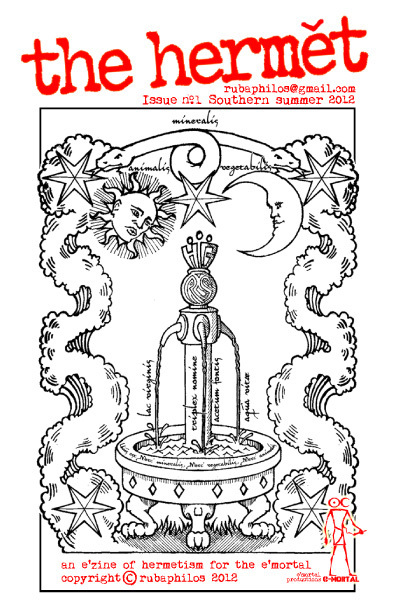 I have entitled this edition of The Hermět ’the cipher issue’, with the intention of, primarily, discussing some of the main methods of concealment used in classic alchemical literature, as well as general problems related to the difficulty of understanding what is being said in those old books and manuscripts. 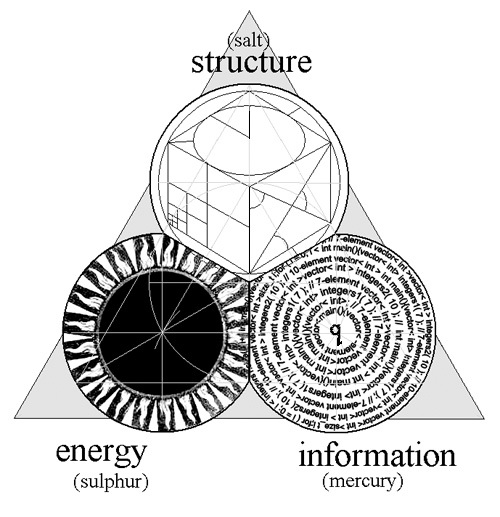 It seems somewhat unusual that there has not appeared, in the realm of public and easily accessible modern alchemical literature, any works attempting to focus on explaining the inherent problems with trying to understand alchemical literature. That which I have presented here, on this subject, is really just a collection of rough notes based on a conversation I had some time ago, with a friend. So it is intended only to be a brief introduction, lacking in detail, of the matter at hand. I hope at some time in the future to do the subject some real justice by producing a more substantial work on this area of interest. Within the entire body of written and art-orientated alchemical publications (and manuscripts), there are a number of problems that arise that contribute towards the difficulty of understanding just what it is that is being explained in such works. There are some very obvious kinds of cipher mechanisms in classic alchemical literature, but there are also some which are not so widely known. I feel it might prove helpful, especially to individuals who are relatively new to the study of alchemy, if I try to round up and explain here the extent of my knowledge of this subject – even if only briefly … In this edition of The Hermět you will find examples and explanations of each of these types [of ciphers utilised in alchemical literature], as well as some general information on problems with reading alchemical literature. The superb opening article, ‘General Problems (with understanding alchemical literature)’, is followed by discussion of the V.I.T.R.I.O.L. cipher – arguably the most well known, yet still largely misunderstood, of alchemical ciphers – and three more fine articles: ‘Art as a Cipher’, ‘The Order of Things’ and ‘Text [Manipulation] Ciphers’. 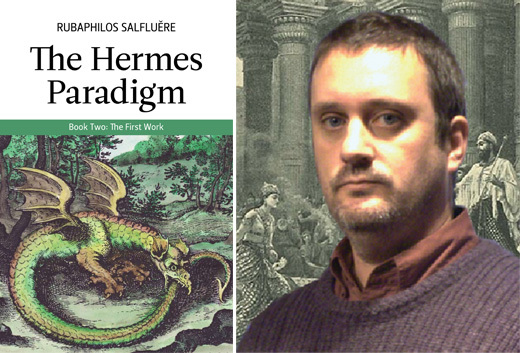 Rubaphilos Salfluĕre’s long-awaited The Hermes Paradigm, Book Two: The First Work is forthcoming from Salamander and Sons. Originally scheduled for a February 2012 release, the publication date has been necessarily revised to late July / early August 2012. The Hermes Paradigm, Book Two: The First Work continues to be available for pre-order. Its publication will be followed by the third volume in The Hermes Paradigm cycle, namely Book Three: Metallic Oils, during later 2012. 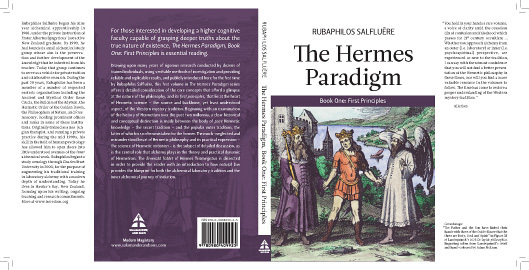 The second of an anticipated five volume series, Rubaphilos Salfluĕre’s The Hermes Paradigm, Book Two: The First Work edges closer to completion. 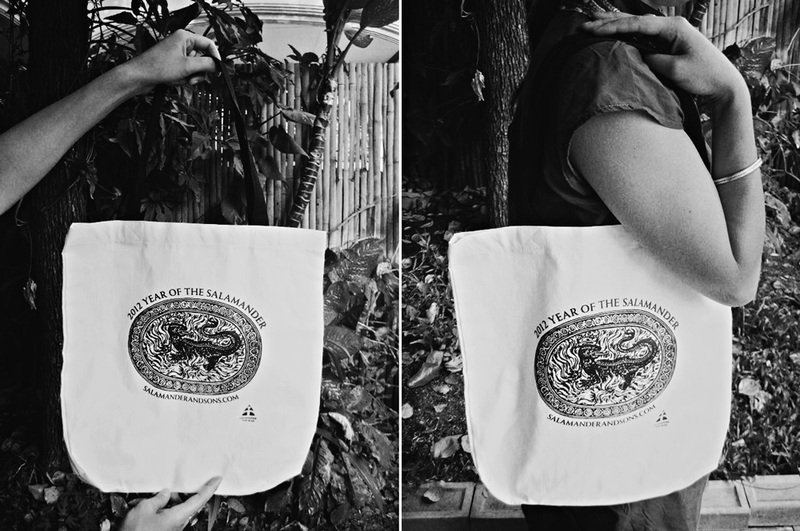 Dedicated readers and students of alchemy who pre-ordered the title – initially scheduled for publication during February 2012 – should by now have received their free Salamander and Sons ‘2012 YEAR OF THE SALAMANDER’ tote bag by way of apology for the unforeseen delay, and as a humble gesture of thanks for the continued and unwavering support. 2012 is the Year of the Salamander! Much like its predecessor, this second book of The Hermes Paradigm cycle is a slender and perhaps unassuming looking paperback of approximately 165 pages, overflowing with undiluted insights into the Western mysteries. The Hermes Paradigm, Book Two: The First Work consists of two parts and 14 chapters. Part One, ‘Thesis’, includes chapters on: Science; the Creation of Matter; the Nature of Matter; Spagyria; and Equipment. 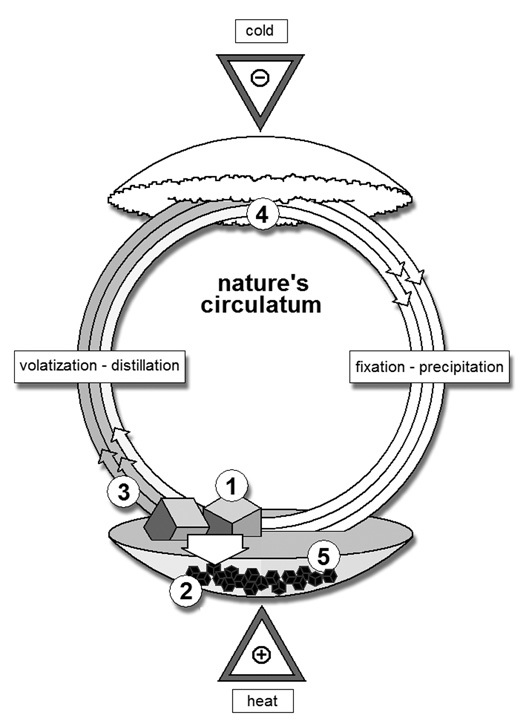 Part Two, ‘Praxis’, includes chapters on: Astrology and the Crude Matter; Separation and Putrefaction (the First Stage of the Work); Purification (the Second Stage of the Work); Cohobation (the Third Stage of the Work); Of Stones, Circulata and Entia (the Summit of the First Work); the Primum Ens Melissæ; and Rejuvenation. The text also includes a glossary, a bibliography and multiple appendices. 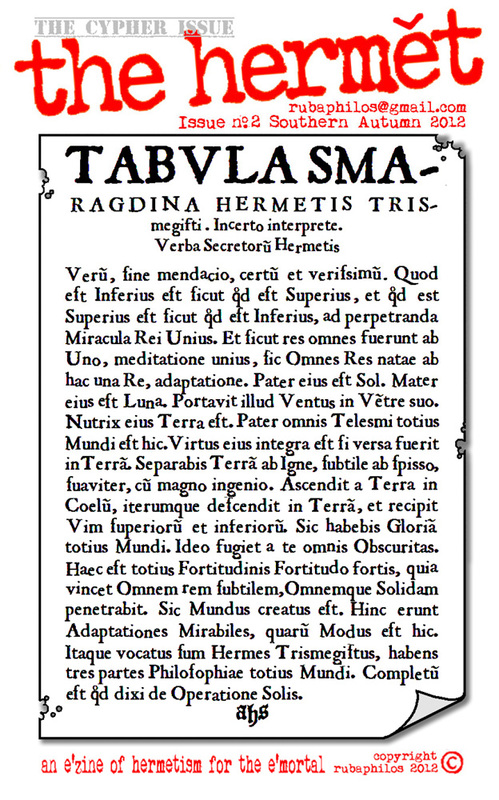 The Hermes Paradigm, Book Two: The First Work is profusely illustrated, with illustrations and diagrams pertaining to: the spread of the Western mystery tradition, post 1200 AD; the manifestation of Fire; the evolution of the Elements; the three Principals; the hexagram and its Elements; the traditional symbols of the Principals; the alchemical Elements; the quaternary of the Elements; Elements composed of the Principals; a numeric consideration of the alchemical process; the pentagram; a novice’s glassware; Natural death in the Plant Kingdom; the Principals of a living system contained; Circulation in the Plant Work; Continuum of the Principals; and the Three become One. The revised publication date for The Hermes Paradigm, Book Two: The First Work is late July / early August 2012. While enduring the wait for Book Two, the wise reader is encouraged to study the contents of Rubaphilos Salfluĕre’s somewhat recent ezine, The Hermět. 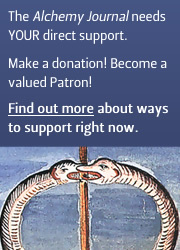 It is my intention, primarily, to use this e‘zine to record ideas about Hermetism which are of interest to students of the Western alchemical tradition. From time to time I will not only publish my own ‘off the chuff’ rants on Hermetic subjects, as well as deliberately designed rants, but will also publish items from classic alchemical literature, excerpts from emails, IRC [internet relay chat] channel discussion logs, email forum posts, etc. that are of interest (and where circumstances allow). So the primary plan is to gather together information and ideas that are circulating online, specifically. I believe this is a good way to help people find resources that they may previously have been unaware of, and to expand their own awareness of just what is going on ‘underground’ (if you will). At the same time, to help give some idea of how to assess productive information from that which is really just plain garbage. In numbering these publications I have opted for a less conventional approach. Instead of listing them by number and then grouping those numbers in to volumes (annual sets), I will keep things simple and just number them as consecutive ‘issues’. I have opted for wide margins on the left and right both because I think it looks better, and because it will allow me to add margin notes (my own comments) on occasion, especially when publishing classic texts. I have no intention of establishing a fixed minimum and/or maximum number of pages per edition, nor a regular publishing cycle. I will make each issue as long or as short as I like, and will publish at random. Some issues will cover a bunch of topics with a number of articles, some only one topic and one article. It is my desire to attempt to get at least three editions out per year, with the intention of more, as often as possible. But it all depends on available time and available information. I will on occasion provide a list of previously published copies of this e’zine for anyone collecting them, and will send copies via email to anyone who has missing editions from their collection. I also welcome inquiries via email if I have taken a while to get the next edition out, and you want to know when it will be available. I also suggest, to anyone distributing copies of these e‘zines digitally or in hardcopy, to include this first issue with any others you pass on. This is because herein is the only place I will be explaining all the basic info’ about this e‘zine. I will also accept requests for articles (that is, I will write on subjects by request), from readers. I will also, on occasion, accept articles submitted by readers, where they are sufficiently worthwhile, and as long as they fit the overall theme of the e‘zine. 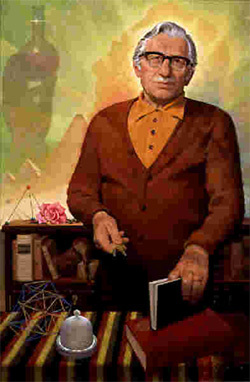 The range of subjects to be discussed here are (in order of importance): lab alchemy, inner alchemy, Hermetic initiation, magic, qabala, info about various schools within the Hermetic tradition, initiatory teaching and learning techniques, past adepts (bios), classic Hermetic literature, Hermetic art, esoteric history, alchemical (and other esoteric) cryptography, astrology, divination, tarot, magic ritual, the Hermetic Order of the Golden Dawn, Freemasonry, Rosicrucianism, the Grail and Arthurian mysteries, modern Hermetic literature, esoteric therapeutics, esoteric psychology, chemistry / physics / botany and biology when related to alchemy. All of which shall be addressed specifically to the Western and Hermetic tradition. If you have an article to submit, please, no Eastern terminology (unless there is no Western equivalent), nor subject matter or articles about systems which are not Western and Hermetic. Articles must be serious and contain sound information, and include reference notes where possible. Many of the ideas I will present in future issues can be found in their rudimentary form in my official published book material: beginning with The Hermes Paradigm series. These books contain information on all of the foundation principles discussed in the articles which I personally produce for this e‘zine, and I will reference them frequently. (Some of them before they are even released). Copies of those books can be obtained from http://www.salamanderandsons.com, and I will publish information as new editions in the series are released. 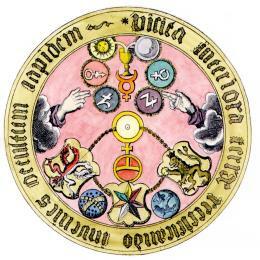 Lastly, it is relatively well known that I teach Hermetic alchemy within an organisation called The HEREDOM GROUP. On occasion I will make reference to that GROUP, since I often write with the intention of clarifying concepts that are part of the tuition and research within that GROUP, for its members and past members. Also some of the information that ends up in this publication will come directly out of that GROUP. So I welcome inquires via email if anything I mention on that subject is of interest to you. Download Rubaphilos Salfluĕre’s ezine, The Hermět here.